The individual attention given to each garment and the quality of the fabric makes SuMoNo the ultimate luxury brand for fashionable modern women who are passionate about prints and who love fine textiles. SuMoNo Featherweight Rainwear is unique in the world! I have not found anyone, anywhere, who is producing this kind of work using fine vintage kimono. Our rainwear is the lightest of all possible garments — ideal for travel, packing, and effortless wear. The drape of an individual piece of kimono cloth after unpicking dictates how best to highlight the movement of the cloth and the placement of the pattern on the finished garment. We have developed a handful of custom cuts that suit the majority of the textiles in the SuMoNo collection. Kimono textiles lend themselves beautifully to accessories and make beautiful bags, belts, collars and scarves. 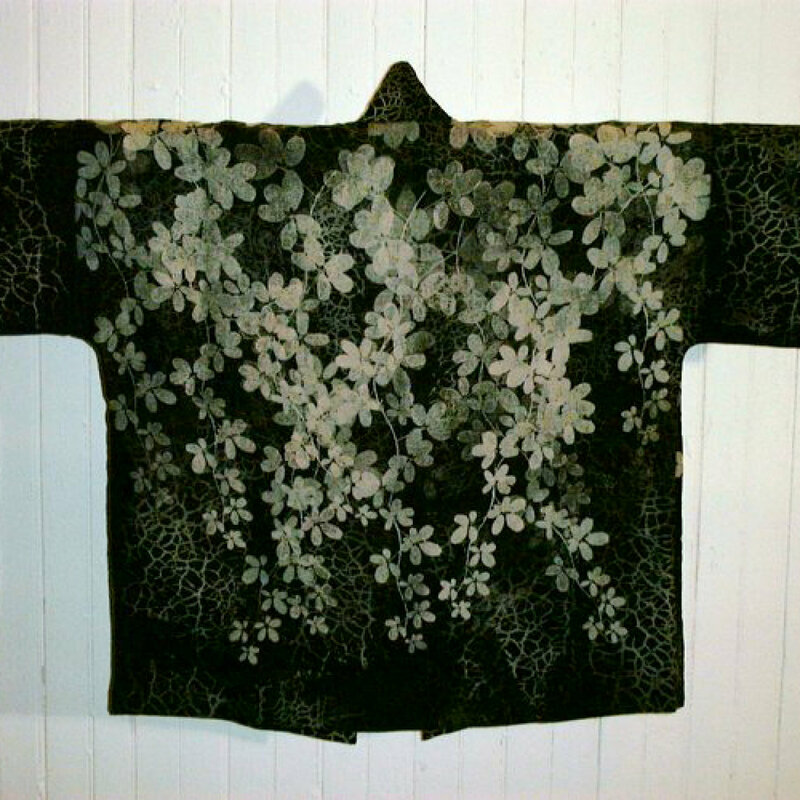 Some kimono, particularly the jackets are beautiful, and eminently wearable so we simply keep them as is.